Linda Stern has published poetry and nonfiction in a range of publications. For six years, she co-published the poetry magazine Endymion, and more recently, she was associate editor of the online poetry journal Umbrella. She also organized Sweet Singers, a literary reading series. 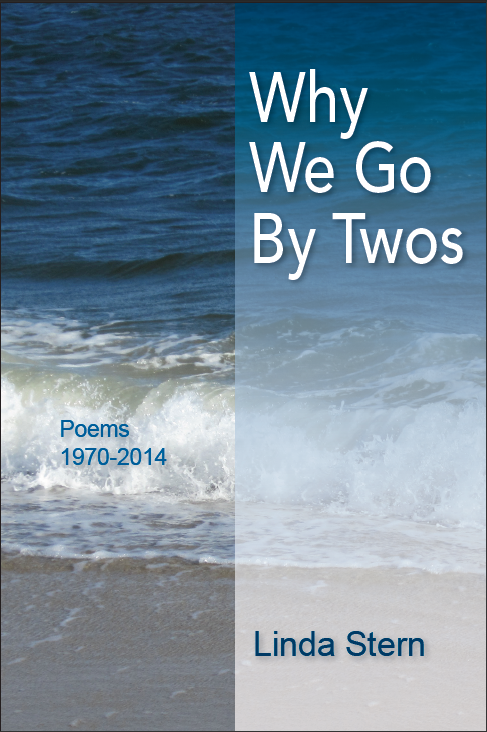 Why We Go by Twos is Linda Stern's first book. She works as an editor and lives in New York City with her husband, David M. Katz. They have two sons. "Always there is "a still, shiny moment saved from riot" ("Swimming Mitzvah") and "a murmur of sound, breath of seraphim" ("Music of the Spheres"). It is this sense of longing, transformation, and grace that gives the book its wonder." "In Linda Stern's clear-eyed poems, apprehension follows hope like darkness the light: "Outside your window, day turns into night. / The lighted bodies in the blackening air..." Conversely, Stern's abiding spiritual melancholy, informed by encounters with Torah and the Prophets, is everywhere meliorated by compassion and warmth." "Even when her poems look to the sky, they speak in a voice wedded to this hard, beautiful world. When I sometimes lose my sense of direction, I turn to these poems as I would to a glass of good Porto on a cold winter night. " Release date: March 1 2015.